Orlando Phobia Counseling | Can Therapy Help? What is Specific Phobia and How Can Counseling Help? Avoidance. By avoiding the situation you fear you teach yourself that the way to not feel fear and anxiety is to avoid to situation. However, by continuously avoiding the thing or situation you fear, you never learn to overcome your anxiety and fear and actually reinforce the fear. Safety behaviors. When confronted with the feared situation or thing, many individuals engage in safety behaviors, which you begin to believe will protect you. These safety behaviors can include asking for reassurances, tensing, clutching repeating phrases or prayers, breathing differently, etc. 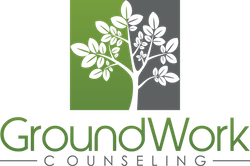 At GroundWork Counseling, Orlando anxiety therapists who specialize in cognitive behavioral therapy (CBT) help individuals who are struggling with specific phobia to face what they fear instead of avoiding it. The cognitive behavioral therapist will begin with an investigation of your irrational thoughts about the specific phobia, request that you do self-help homework between sessions and end with guided gradual exposure to these situations. With these techniques, between 80% and 90% of individuals with specific phobia are able to improve quite rapidly. How Does CBT Help Anxiety? Copyright 2017 GroundWork Counseling, Orlando All Rights Reserved.